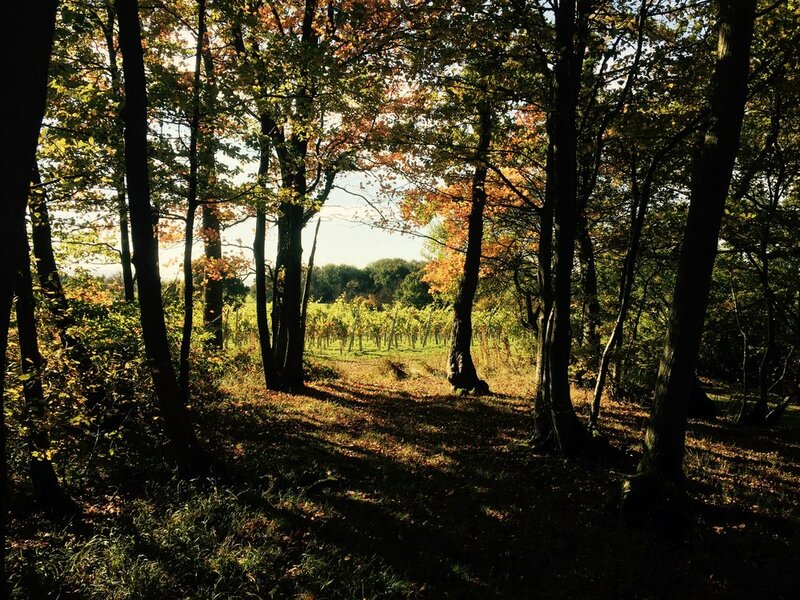 Off The Line Vineyard was established by the owners, Kristina and Ann-Marie, from scratch on a wonderful site in the Sussex Weald benefiting from south facing slopes. The site was prepared and the first vines planted in 2014. The focus is on growing Pinot noir, Regent, Dornfelder and Rondo, all red varieties. The name, Off the Line Vineyard was chosen because the vineyard is located beside the Old Cuckoo Line, a branch railway line that once ran between Polegate and Edridge. 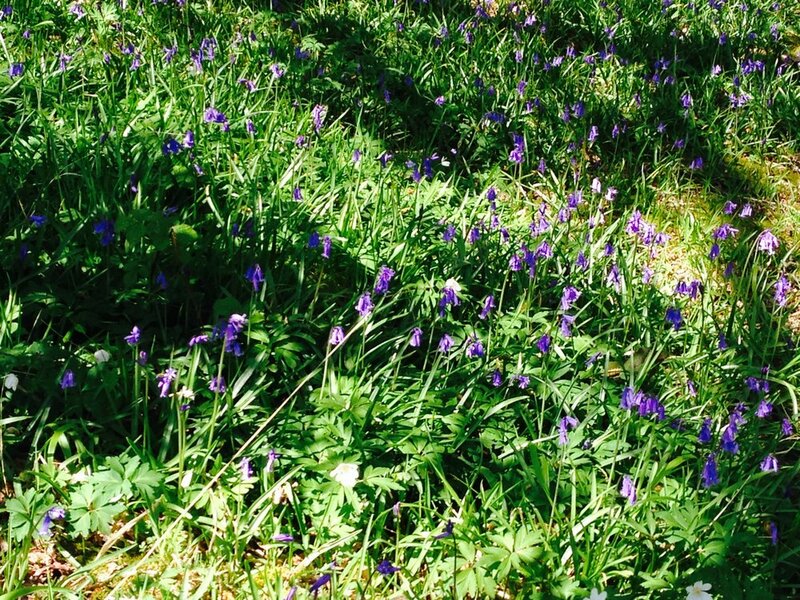 The steam trains once passed through Heathfield where folklore has it that spring is heralded by the release of a cuckoo from an old woman's basket. The idea of lines provides inspiration: the old railway line, the rows of vines in the vineyard, the power lines that transport electricity to the winery. You don't see too many lines in the rolling Sussex landscape but those that exist are going somewhere or transporting something important; symbolising progress and a working relationship with the environment. Before growing vines and making wine, Kristina was a solicitor working mostly in the government legal service. She graduated from Plumpton College in 2013(FdSc Wine Production)and gained further practical qualifications in vineyard management and pesticide operations. The ambition to own a vineyard and make wine grew out of a passion shared with Ann-Marie, Kristina's civil partner. Ann-Marie worked in fine wine investment sales before founding Off The Line Vineyard with Kristina. She is a trained ceramicist producing art in the Raku style. Ann-Marie and Kristina both explored many leading wine regions and worked on vineyards and wineries in Bordeaux and the Rhône before deciding to set up a vineyard and winery in England.